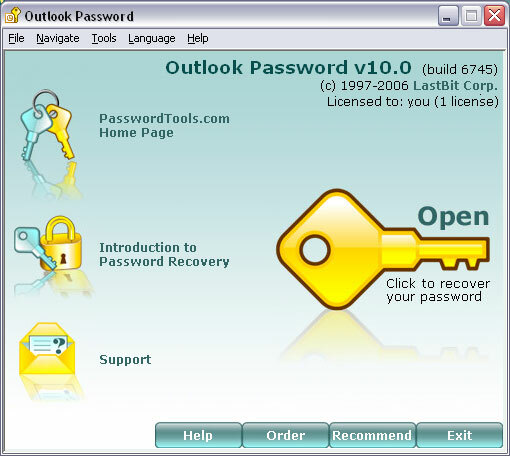 Password recovery tool for Outlook personal folders (.pst and .ost files). Any password can be retrieved instantly using the Fake Password Creation recovery method. Outlook Password has simple and easy-to-use interface. In automatic mode, you can break any document in just a few mouse clicks. All Outlook versions and password types are supported.